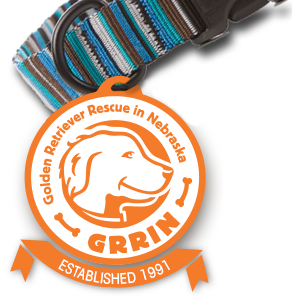 Dogs featured on this page are currently in our foster home network, a key component of GRRIN’s rescue program. The principle behind fostering is to provide the dogs entrusted to our care with a home environment in order to evaluate their habits, health and behavior and to offer the new owner more information about the dog. 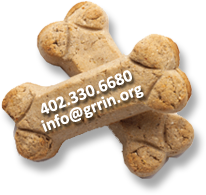 GRRIN dogs may be fostered for as little as two weeks but usually require more time. GRRIN’s ultimate goal is to make the perfect match for each Golden and family; therefore, much attention is given to understanding the needs of both. We encourage you to become familiar with our group via social events – check out our calendar – all friendly dogs are welcome! We do not have an online application – please learn more about our adoption requirements by clicking on the links below, then leave a message on our Goldline. A volunteer will return your call. Be prepared to spend at least 30 minutes to answer questions.